Industrial Barbells are a kind of long length straight barbell, our industrial barbells are available in 16ga and 14ga, industrial barbells length normally in 30mm, 34mm, 36mm, 38mm, 40mm, 44mm & 50mm for Industrial Piercing. Also any customized length for industrial barbells is welcomed. 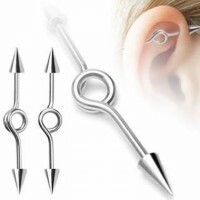 Industrial Barbell available in Surgical Steel, G23 Titanium, Titanium Anodized and Acrylic UV. 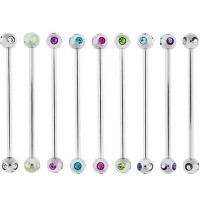 Great quality surgical steel industrial barbells with glow-in-dark acrylic uv balls. Various of gauge(thickness), length, ball sizes and colors available for vary choice. 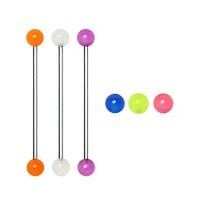 Great quality surgical steel industrial barbells with acrylic uv balls. Various of gauge(thickness), length, ball sizes and colors available for vary choice. Great quality surgical steel industrial barbells with acrylic uv dices. 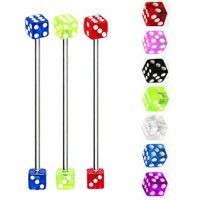 Various of gauge(thickness), length, dice sizes and colors available for vary choice. 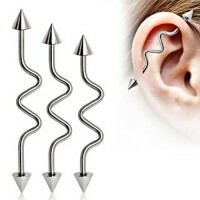 Great quality surgical steel wave industrial barbells with cones. Various of gauge(thickness), length, cone sizes available for vary choice. Also choosing titanium anodized colors for your custom order if you wish. 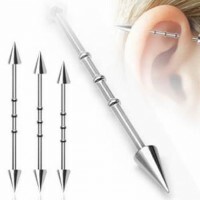 Great quality surgical steel diamond-cut industrial barbells with cones. Various of gauge(thickness), length, cone sizes available for vary choice. Also choosing titanium anodized colors for your custom order if you wish. 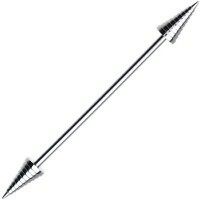 Great quality surgical steel notched industrial barbells with cones. Various of gauge(thickness), length, cone sizes available for vary choice.Also choosing titanium anodized colors for your custom order if you wish. 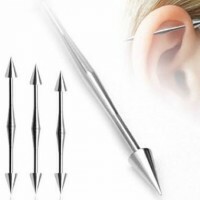 Great quality cone surgical steel industrial barbells with circle in center of the bar. Various of gauge(thickness), length, cone sizes available for vary choice. Also choosing titanium anodized colors for your custom order if you wish. Great quality surgical steel industrial barbells with steped cones. Various of gauge(thickness), length, cone sizes available for vary choice. Also choosing titanium anodized colors for your custom order if you wish. 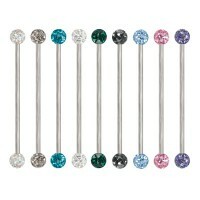 Great quality surgical steel industrial barbells with multi 5 crystals jeweled balls. 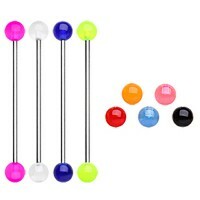 Various of gauge(thickness), length, ball sizes and crystal colors available for vary choice. 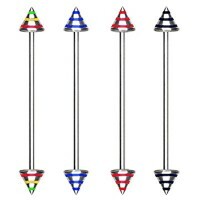 Great quality surgical steel industrial barbells with striped color cones. Various of gauge(thickness), length, cone sizes available for vary choice. 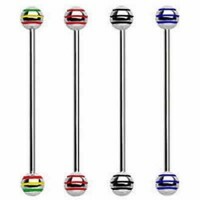 Great quality surgical steel industrial barbells with striped color balls. Various of gauge(thickness), length and ball sizes available for vary choice.